Fiserv is a global leader in financial services technology solutions. We’re helping more than 12,000 clients worldwide create and deliver experiences for a digital world that’s always on. Solutions that enable today’s consumer to move and manage money with ease, speed and convenience. Our Interact digital platform will help you transform your business to meet your customers’ expectations. Its flexibility enables you to create simple journeys for people to sign up, engage, self-serve, and manage their finances. Five Degrees develops a digital banking platform to create banking as it should be. We combine state-of-the-art technology and sound financial knowledge to create unique digital solutions for today’s banks and for people who like banking to be quick and easy. As a specialist consulting company, with unique solutions in the payment lifecycle, ITIAM can help you manage your financial transactions with a range of secure, sustainable products and services. We offer proficient, turnkey innovation, based on years of internal and external experience that even include talent management and training for your business. At In2IT Technologies we work with our clients from the planning stage steering them through the investments phase, helping them tie-up with best partners and then help all stakeholders to manage the expectations, ensure checks and balances for timely delivery with financial prudence. In2IT offers business intelligence and analytics as its core business solution enabling clients to invest right. FICO’s groundbreaking use of Big Data and mathematical algorithms to predict consumer behavior has transformed entire industries. The company provides analytics software and tools used across multiple industries to manage risk, fight fraud, build more profitable customer relationships, optimize operations and meet strict government regulations. Adeptra Ltd. provides automated contact and resolution services to consumer credit and risk management companies. The company also provides industry-specific solutions for business processes, such as fraud detection, collections, and marketing. It serves financial institutions, card issuers, and banks, as well as mortgage lending, loan, and utility markets. By aligning the distinct skill sets of Incline, Rimco and Prometheus Consulting, a unique synergy is created that enables the creation of customised, business decision systems and workflows on highly stable platforms, which are integrated with existing hardware. The built-in decisioning models give our clients automation they can trust, saving time while providing a great return on investment. IMImobile is a cloud communications software and solutions provider that enables companies to use mobile and digital technologies to improve and automate customer experience and engagement. IMImobile’s cloud software platform manages over 42 billion messages and 44 billion commerce transactions a year across the world. Reach Republic is the ultimate lead generation and outsourced sales engine. We manage the entire sales process from lead sourcing through to the completed sales. Our wide range of direct-to-customer and digital vendors generate quality opt-in leads for your specific product. 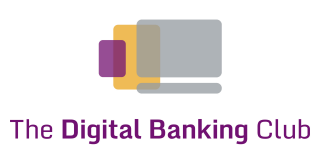 The Digital Banking Club is the only place to go for the latest news, opinions, and information on all things related to digital financial services. We welcome members from all areas of the financial services industry. Telrock is a global provider of modern, more intelligent software solutions that improve customer contact, engagement, and collections management. Telrock is an Award Winning Global Technology Provider of SaaS Based Software Solutions. Datanomix South Africa is the first company to call when you need to solve complex business problems, achieve key objectives and manage your information more effectively. SAS is the business leader in business analytics soft ware. A boutique consulting company built over 17 years to work with our customers to solve business problems using our unique approach to sustainable delivery within tactical timeframes. A trusted and independent provider of data intelligence for Anti-Money Laundering, Anti-Corruption and Cybersecurity professionals. A powerful overview and enhanced risk management service – our unique database exceeds all expectations.